Last week I attended a Boots Beauty Event in my local store in York city centre. Boots held a ticketed event after usual store hours in which a few premium brands held demonstrations and gave beauty advice at their counters. It was a great way to get some one on one beauty advice whilst sipping on some fizz with the chance to win a few beauty goodies. 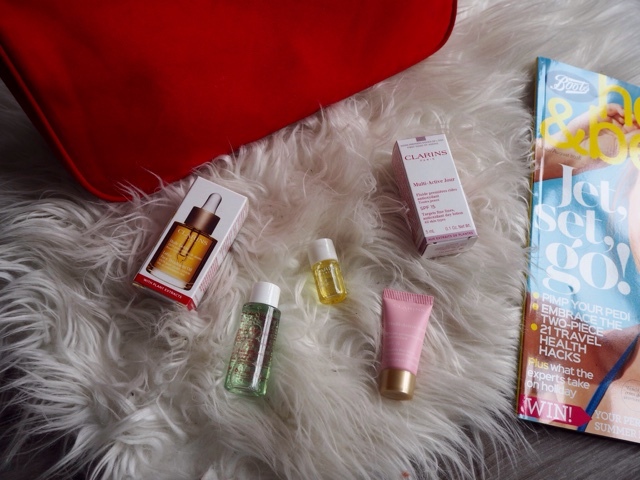 Whilst I was there I had a more in depth look at skincare range at the Clarins counter. I spoke to a lovely lady at the counter who looked at my skin, listened to my concerns and recommended a whole skincare range based on the information provided. Although she recommended a full skincare routine for both day and night, I picked out a cleanser and toner which I decided to buy. The lady gave me samples however, of the other skincare products that she picked out for me so that I could give the whole range a try. The samples I received were another daily toner, a day cream and a night oil. 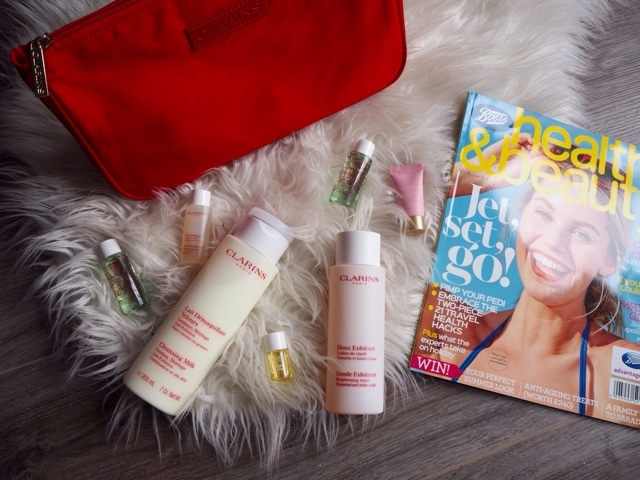 Clarins had a special offer on their skincare products and because I bought two full sized products I received a skincare bag filled with a mixture of body and facial skincare products. I had a really fun time and it was such a nice and relaxed shopping experience and I hope to go to another event soon. Have you ever been to a Boots Beauty Event? 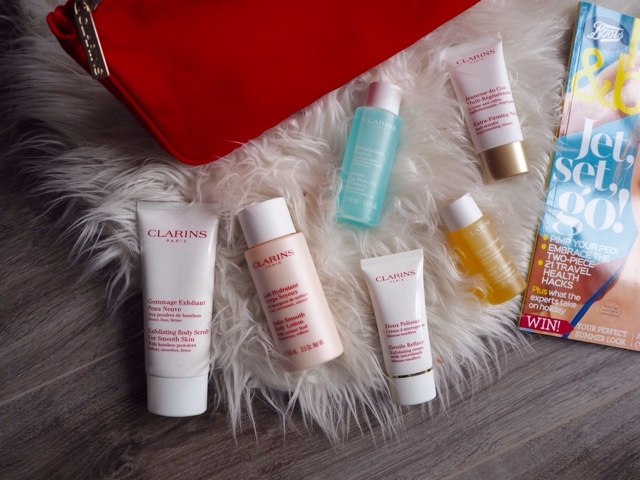 Have you tried anything from the Clarins Skincare range?